Data is the cornerstone of successful sports betting. Sportsbook Insider offers the industry’s most advanced live odds platform for the most sought after, market-setting sportsbooks. 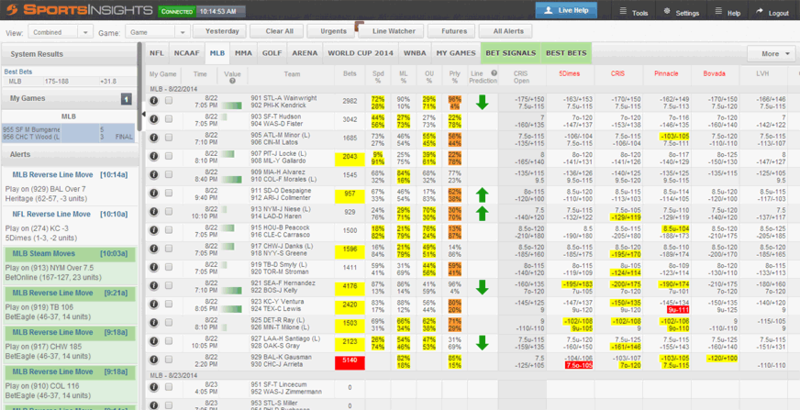 We track in real time all the forces that move lines – public betting, sharp money, injury reports & weather updates. 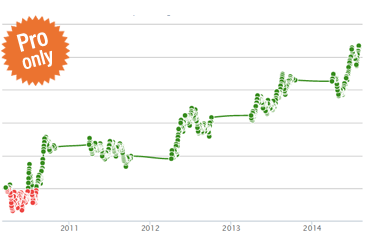 Since 1999, we’ve been doing nothing but gathering live odds and betting trends data. We provide you with instant access to live odds from over 50 sportsbooks. Our real-time odds software is 100% web-based so you don’t have to download or install anything on your computer. You can also go mobile and easily access our live odds from your tablet or smartphone. Download our free smartphone app (Android & iPhone) for even quicker access and start making smarter bets now. 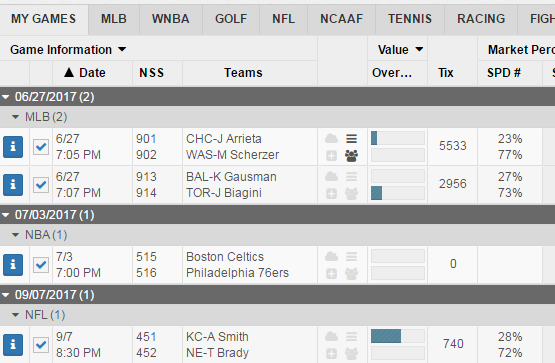 Sportsbook Insider takes you behind the lines and shows you what is happening on the sportsbook side. You’ll get public sports betting trends on the number and the percentage of bets placed. 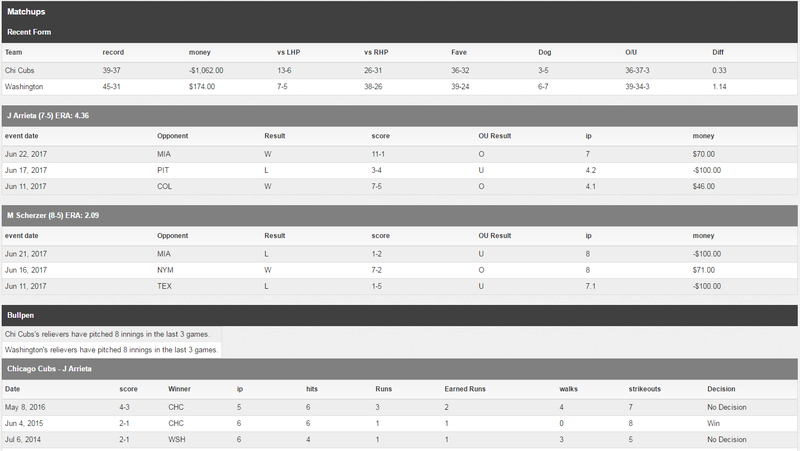 Our data represents real wagers placed at the industry’s largest and most trusted sports books. View public trends as a market average across seven contributing sportsbooks or see them broken down into each individual sportsbook’s betting data. 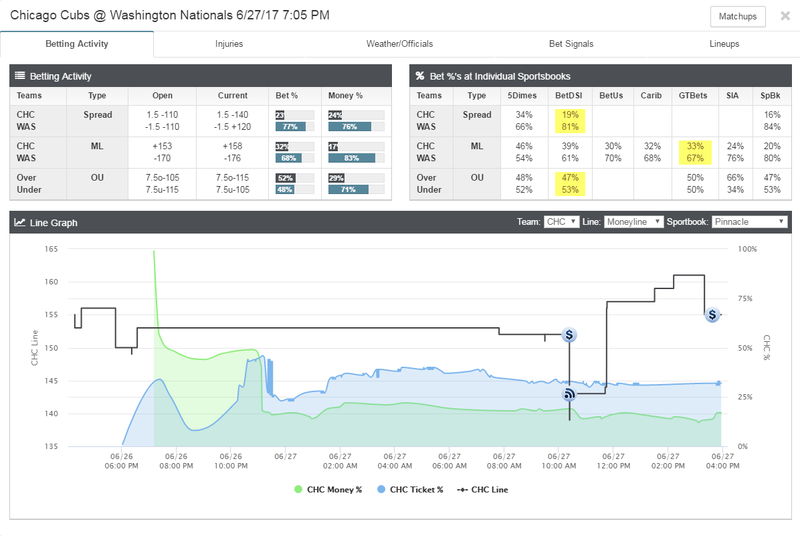 Sportsbook Insider is the only tool in the world that offers real-time public betting trends from seven online sportsbooks – and betting money percentages. 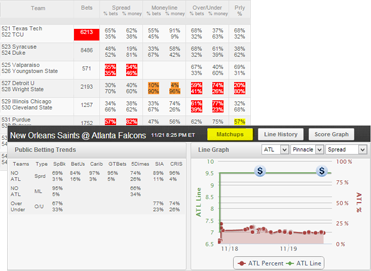 See in one quick view which side the sharp money’s on and which games are the most lopsided in both tickets and money. 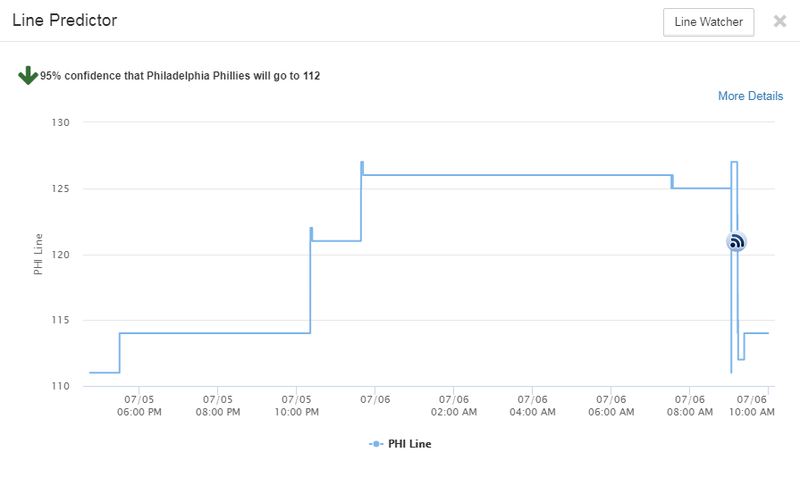 Plus you’ll also see which games have the biggest difference between percentage of tickets and percentage of money – a surefire way to track the sharp action. 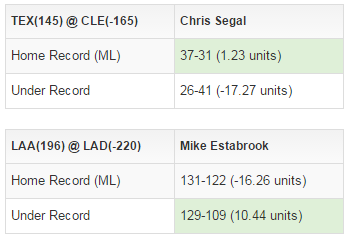 With a Pro membership, you’ll get our profitable Best Bets picks. Our betting systems are developed by a team of “propeller heads”; economists, PhDs and CFAs, not salesmen. We don’t handicap games. We handicap the sports betting marketplace. 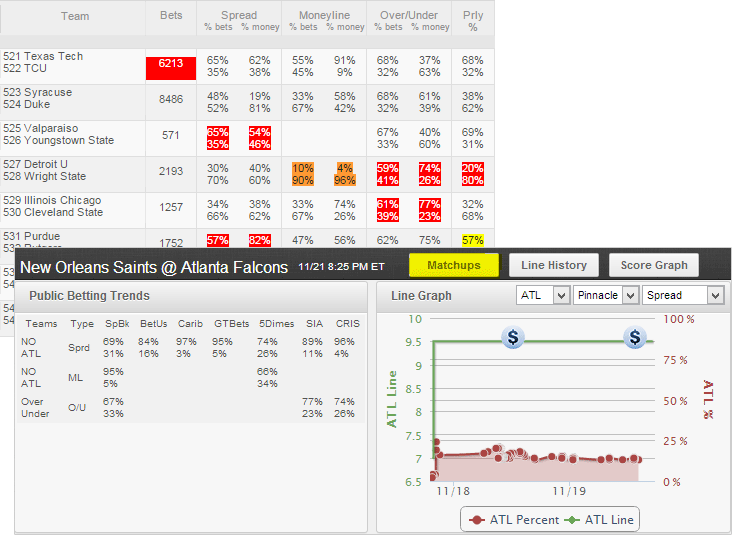 Sportsbooks leave money on the table every day as they look to offset risk. Our strategies are designed to take advantage of these profitable situations. 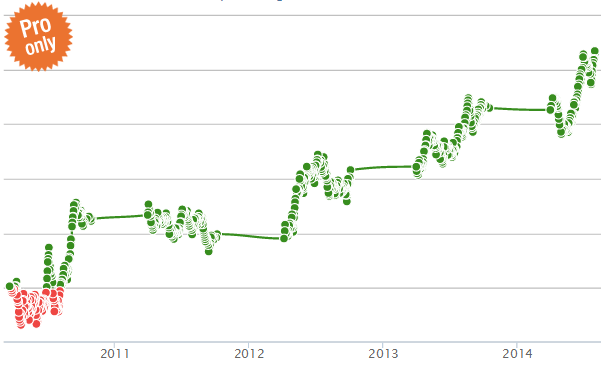 Since 2010, our systems returned a consistent winning percentage of 54%-55% ATS across all major sports. In addition to our Best Bets, Pro subscribers will receive access to all three of our Bet Signals — Contrarian Plays, Steam Moves and Reverse Line Movement alerts. The Contrarian Plays represent the most lop-sided bet games of the day and are the backbone of our betting against the public philosophy. Our Steam Moves and Reverse Line Movement alerts are excellent sharp money indicators which are triggered automatically throughout the day based on historically profitable line movement patterns. 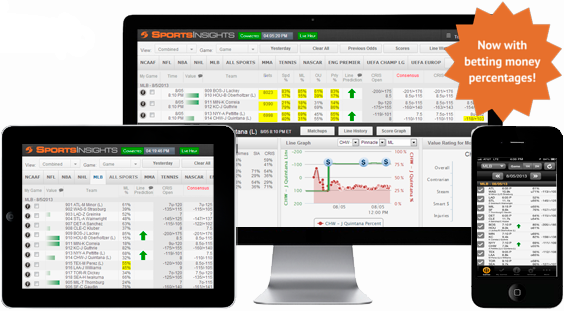 These Bet Signals are built on our proprietary betting trends data and can help bettors identify inefficiencies in the sports betting market. 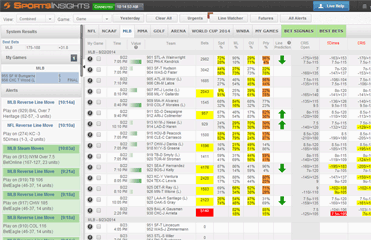 We track Bet Signals from over 50 different sportsbooks with archived records readily available. Betting Against The Public The logic is simple: whichever team the public loads up on, go the other way. Our real-time updates will provide you the same edge in sports betting enjoyed by professional bettors, but for a fraction of the price. Sign up and start winning more today!